PROVIDENCE, R.I. -- One U.S. Coast Guard sector says it will contact ships that have recently been to Ebola-affected countries to ask whether passengers have symptoms of the virus before they are allowed into port. Meantime, the Army general who commands U.S. troops in Africa says U.S. military efforts against the Ebola crisis in Liberia are expected to cost $750 million over six months. Gen. David Rodriguez told reporters at a Pentagon news conference that a very small number of highly trained troops are testing people for Ebola, insisting most forces won't come in contact with sick patients. Rodriguez said he is confident that the approximately 4,000 U.S. military personnel deploying to Africa to help with the Ebola crisis are sufficiently trained to avoid getting infected. He said he doesn't expect to need more than 4,000 troops but didn't rule out expanding the effort. The troops are providing logistics, training, diagnostic labs and engineering support as part of a broader U.S. government effort. 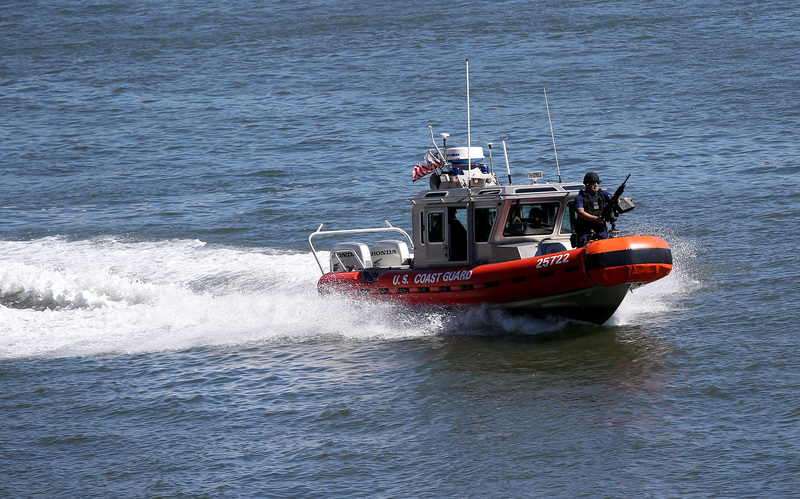 The Coast Guard sector, which includes parts of New York and Connecticut, issued a bulletin to the maritime community in Long Island Sound on Monday that describes protocols being put into place due to the Ebola outbreak. It did not immediately say whether the protocols were being used nationwide. The Coast Guard said each vessel headed to an area port would be evaluated to determine if it had visited an Ebola-affected country within its last five ports of call. If it has, the Coast Guard will ask whether anyone on board is experiencing symptoms of Ebola, such as fever, headache, joint and muscle aches, weakness, diarrhea, cough, hiccups, sore throat and other symptoms. If so, the Coast Guard will ask how many people are sick, when the symptoms started, whether they have been treated, if they have arranged for medical care, and if they have been around anyone who is ill. It will also ask whether anyone plans to get on or off the ship once it gets to port. The bulletin says the Coast Guard has activated an Ebola crisis team that's reviewing its policy. Ships headed to American ports are required to report illnesses or death from communicable diseases among passengers or crew 15 days before they expect to arrive, according to the bulletin. It says there have been no reports of people infected with Ebola on any vessels operating in the U.S. The Obama administration has said it is considering whether to institute extra screening at airports to check passengers coming from Ebola-stricken countries. Health officials have said that might include checking travelers to see if they have a fever, then evaluating them further if they do. The administration has said it will not shut down flights from affected countries.